In the spirit of contribution, collaboration and community, I am pleased to bring you this, the first of many partnership interviews with experts I love and trust to improve the value of your home. Take a few minutes to read, watch and learn how a little bit goes a long way to enhancing and increasing your home’s curb appeal. Whether you just want to make your home look nice to increase the overall value in the community or if you are looking to list and sell your home, this video is for you. 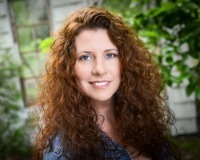 Denise Petti: It is my joy and honor to interview Allison Pond of Primo Pots and Planters of Moorestown, NJ. Allison lent her time, vision and talent to assist us in selling our own home within days of being listed. Today, Allison provides some tips and tricks and suggestions for how to increase your curb appeal. Allison Pond: There are some very small measures you can take that would really increase the value of your house and make it stand out among the others. Curb appeal is a huge part of that. The easiest and most cost-effective way to achieve that is through the use of planters, window boxes and urns. Denise: Allison, everybody loves a pretty home. Everybody loves a home that looks like it’s well-manicured and attention to detail is well-handled. So what does it mean, not only to the homeowner, but what does it mean to the home buyer? What does it mean to the neighbors? What does it mean to the community, in general, to have a home that is staged from the outside? Allison: Making sure that your lawn is trimmed and that you have fresh mulch and everything is tidy makes a big difference because that tells prospective home buyers that you love your home, that you care about your home, and most importantly, that your home is vibrant and dynamic and well taken care of. Denise: So some people really really take their their home decorating on the outside very seriously. We have all seen homes that have just exquisite attention to detail outside and we can probably think right now of about thee or four homes that just blow our minds with their amazing outside staging. What about the people that just don’t have those kinds of resources or disposable income? What about people on a budget? What is the recommendation that you would have for somebody that’s very frugal and just trying to keep things reeled in and affordable? Maybe they want to hire you on a different level, just to help them get started or to help them sell. What do you recommend for the budget conscious? Allison: A couple hundred dollars goes a very long way, and a tip that I've learned - the absolute best place that you can find beautiful urns, pots and planters are at estate sales. For a very small fraction of money you can get yourself a couple of planters to use at your house and through the use of certain plants, such as perennials, once it's done blooming you can keep it, put it in your landscape or take it with you and re-use it. That being said, you do not have to break the budget to achieve this look. In fact, for a relatively small investment of money, you can really increase the perceived value of your house. One of the best and most cost-effective ways to do that is by using annuals and perennials to enhance the beauty of your front. if you don’t have a porch, even a slender pot by your front door can really add some life to your space and welcome your guests. If you don’t have the opportunity to put something directly by your door, putting something by your garage or some kind of focal point will create a warm and inviting opportunity for your guests to look further at your property. Denise: Let's talk about those of us that wouldn't necessarily say that we have a green thumb. That would be me. I cannot keep plants alive. All mine are kept alive by my loving husband. So what do you say to the people that don’t want to necessarily spend a ton of money because they’re afraid that their plants are going to die and they don’t want to waste that money. Maybe they’re afraid that they won't choose the right selections or that they’re not going to have enough sun or not enough shade. What do you do for those of us who can’t even keep a cactus alive? Allison: You don't have to be a horticulture specialist to be able to maintain some beautiful live plants around your property. If you have a black thumb, it's great if you have the ability to hire someone like me because I can help you choose the right plants for the right space with the most favorable conditions so they'll thrive. If you choose to do it yourself, it's important to consider things like how much sun the plant requires, what the water requirements are and how long-lasting the plant is. Denise: So we have all these different styles of homes. We've got the Center Hall Colonial. We’ve got the Bungalows, the Ranchers, the Beach homes, the Estates, the McMansions... We have all these different periods of homes, so how do you make the determination of what types of plants and planters to use based on the style of the home, the history of the home, etc? Allison: When it comes to choosing the right plants, I try to pair appropriate plants with the home style. If it's contemporary, I'll do something that's sleek. If it's a traditional house, I'll do something with more of a cottage style. I also love to incorporate elements of the landscape and decor into the selection of plants by using the color of the door, the color of the shutters, and make it so whatever planter or container I'm using will blend seamlessly into the landscape. These things can really go a long way toward increasing your curb value, enhancing the value of your property, and welcoming guests to take a further look at your home and consider how wonderful it would be to live there themselves.